Trying to sort out which ten tracks from the past year deserved a place in our top ten singles of 2013 has been a monumental headache… This year has served up some extraordinary pop… some that’s pushed boundaries, some that’s taken our breath away. And while not all in our top ten this year have achieved the commercial success they so richly deserved, each of them deserves another little tip of the hat. So prepare as over the remaining days of December, we look back on our top ten pop moments of 2013. Take one young man from Yorkshire in the north of England and throw in one of the most polished debut singles of recent times and you’ve got the sparkly pop gem of ‘Love Me Again’. A mammoth No.1 hit for the husky-voiced singer in his native UK, it took a few months for the Australian public to warm to it, but when we did, we sent it all the way into the ARIA top ten, where it peaked at No.4; thus introducing us to one of the most intriguing new stars on planet pop. A joyous, uplifting, soul-filled pop number with stunning chord structures, an anthemic chorus and flawless production, all anchored by John’s smoky vocal… What’s not to love? Can we love him again? Sure can! Our No.10 pop single of the year for 2013; John Newman’s ‘Love Me Again’. 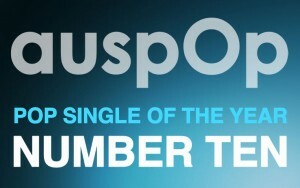 Awesome song, bring on the rest of the top ten! auspOp I was wondering if you were going to post your favourites it’s always a great read. 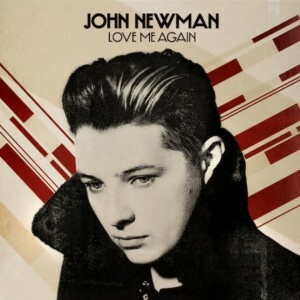 Love Me Again is such a great song also loved his contributions on Rudimentals dance tracks. It’s difficult to predict your favourites but I am quite sure La La La will feature. Fingers crossed we get to see some Agnetha love in your Top 10 this year (hint hint)…or at least a special mention!! Thank god he turned out to be a 1 hit wonder. Australia, you made the right decision. Same with James Arthur.